French President Sarkozy said on Wednesday (February 8) that Israel had no choice but to talk with Palestine to unsure its own security, talking at a major gathering of France’s influential Jewish community and said that two French people suspected of killing an Israeli student last year must be brought to trial. Sarkozy was the guest of honour of the annual dinner organised by CRIF, the country’s Jewish council. Speaking after Noam Shalit, the father of Israeli former hostage Guilad Shalit Sarkozy repeated that he was a friend of Israel. He said that there was no solution for Israelis and Palestinians to talk with each other. “May you, my dear friends, Israelis and Palestinians, understand that when the destiny puts two people next to each other, whatever passion, whatever fear, whatever hatred there are, they will have to learn to live together, to talk and to understand each other,” he said. Referring to France’s support to the Palestinian bid for a full membership in UNESCO, Sarkozy said that the creation of a Palestinian state was the only guarantee for Israel’s security. “There will be no definitive security for Israel as long as there isn’t, at its borders, a democratic, viable and modern Palestinian state. This is the only definitive guarantee of Israel’s security,” he said. Relations between France and Israel have been very sensitive over Paris’ support for a Palestinian state and mired in controversy over the fate of two French nationals who fled to Paris after killing a 26-year-old Israeli student in Tel Aviv last year. “Those who did that, who killed this young girl, must account for it. For the family of this young girl who died under the wheels of a reckless driver, but also for themselves. Because when you have such a thing on your conscience, and you escape any kind of judgement and any kind of punishment, it must be hard to sleep peacefully,” French president said. The Israeli father of the young student killed last year, currently in Paris to press demands for the two french citizens to face trial in Israel, had earlier been turned away from the meeting. 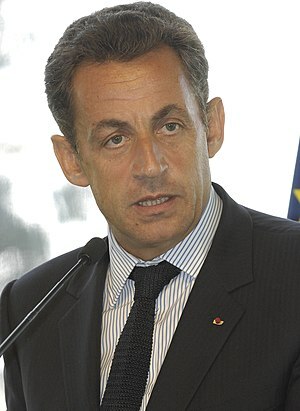 Sarkozy repeated that France would not extradite its citizens to Israel, but that if the family of the young woman filed a complaint in France, the two French men involved in the hit-and-run killing would have to face the French justice.